It’s the second weekend in March and, sure, temps aren’t going to reach 60, but there’s plenty of fun stuff going on before St. Patrick’s Day mania strikes next week. Here are our picks for some of the best weekend events in L.A.
Women’s History Month is in full swing, but on Friday women take to the streets to honor the gender’s present and future too. From 4 to 7 p.m., a dance party, march, and rally will take place outside the Downtown Federal Building. DJ Daisy O’Dell will get the party started before speakers including labor legend Dolores Huerta, teachers union chair Arlene Inouye, and Alexandria House founder Judy Vaughn take the stage. It’s a good reminder that we still have to haul our cookies out into the streets to demand equal pay, equal rights, and an end to the war on women. 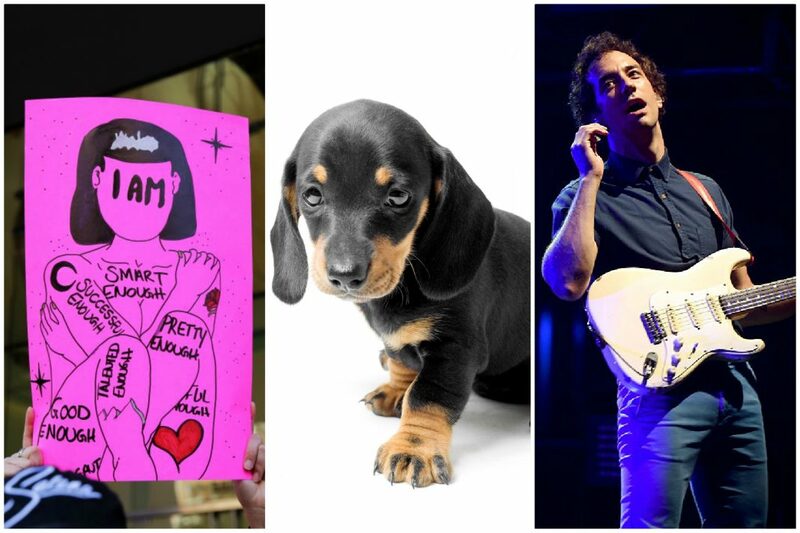 Albert Hammond Jr.—son of Albert “It Never Rains in Southern California” Hammond Sr.—has had a super successful 13-year solo career outside of playing guitar in the Stokes, and he’s hitting the Fonda Theater as part of a short West Coast tour. Pitchfork called his most recent album, Francis Trouble, the “brightest and scrappiest” music he’s made so far, despite that it’s about a twin sibling who died in utero. When fewer than 10 percent of Wikipedia editors are women, sometimes women have to take matters into their own hands. For six years, Art+Feminism has hosted events to present a more inclusive history on the internet’s most visited reference website. This edit-a-thon at the Vincent Price Museum of Art focuses on Latinx women and non-binary artists. Finally, a soiree that recognizes the three major food groups. Sign up for the two-hour class held at DTLA’s Loft 218, where you’ll sample five cheeses, five chocolates, and ten wines—as long as you’re 21 or older, that is. Culver City spin studio CycleBar is celebrating an anniversary, and they’re celebrating with a series of “charity rides,” the most adorable of which is one to benefit Michelson Found Animals Adopt & Shop at noon on Sunday. From 8:30 a.m. to 1:30 p.m. they’ll have adoptable dogs in studio, so you can commune with furry creatures before you punish your body. Next articleWill a Measure to Help L.A.’s Homeless Become a Historic Public Housing Debacle?